One of my clients has been having a hard time, trying to figure out how he could customize his WooCommerce store to notify admin anytime a new account is created in his store. He wanted to notify admin so he could tag a customer’s account based on the type of purchase they want to make. The problem here is that this functionality is not built into WooCommerce. So, it’s quite challenging to put customers in the right customer group. Now, is it possible to have an email sent to the Admin every time a new customer account is created? The answer is Yes. It’s possible! If you have been trying all sorts of email plugins and aren’t making headway with it, here is a simple method that can help you out. First, Add code to the default WooCommerce customer-new-account.php file. Secondly, you’ll need to add a simple function to the functions.php file. – To do this, make sure you add in file customer-new-account.php the following line of code at the end. When you do this, Your Shop will notify admin every time a new account is created. That is it. I hope you’ve found this useful. 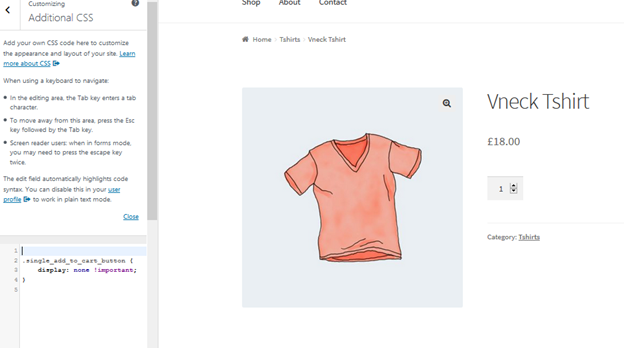 If you’re having troubles removing default WooCommerce LightBox or Image Magnifier, on your product page, don’t worry. I have got the perfect solution for you. The function of this code will remove the “image zoom” feature on the single product page. 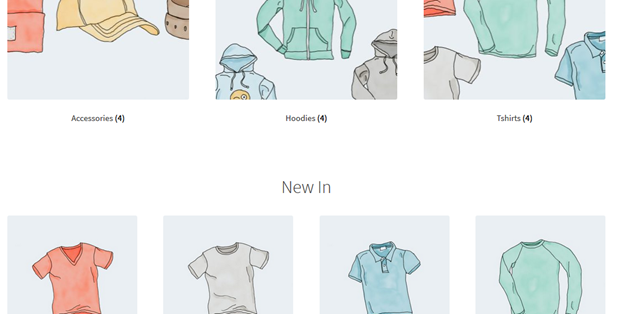 In case you don’t know, WooCommerce Lightbox is a product feature that lets you open the image gallery with just a click. 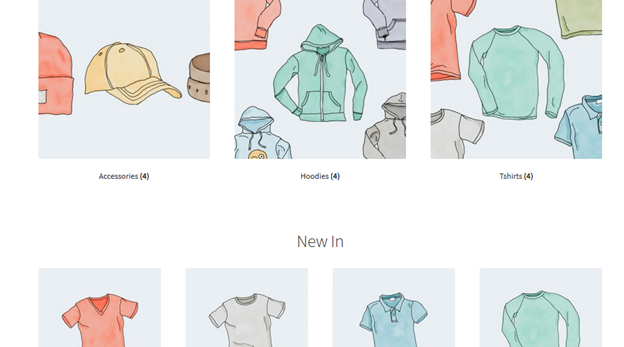 This feature comes in handy if you are selling products that your customers would want to have a clear view of the product image. But you don’t want this feature, and you want it disabled, right? And boom! The product image will automatically disable LightBox or Image Magnifier. Pro tip: Make sure you use only the child theme for all customization on your site. 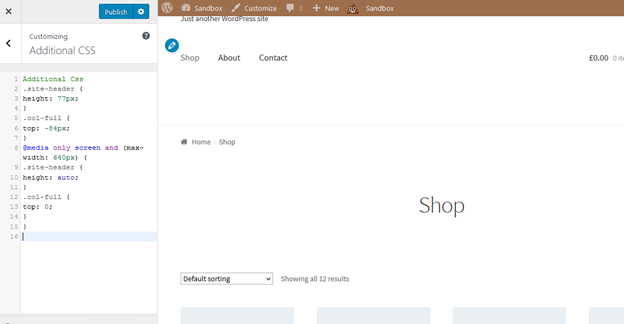 This theme will prevent you from losing all the changes in your store after theme update. So, what’s your experience using this code? Do you have other ways to do it? Let me know in the comments. We’d love to hear from you. You’d agree with me that not all products can be sold according to their quantity. Some products, such as nut butter, water, brine, vinegar, syrups, fruit or vegetable juice and a host of other products are sold according to their weight. For example, selling a bunch of fruits by weight using price per kilogram, will give buyers the complete freedom to shop in the prices they want. The customer will be able to type in exactly how many grams he wants to buy. This will then dynamically display the price. I had a client who wanted to sell his “Thin Pork Sausages” on WooCommerce using price per kg, instead of selling the products in quantities. So, the more the weight of the Thin Pork Sausages, the higher the price it would be. But, this was quite difficult for him because the system (WooCommerce) was built for selling in quantities. The solution to this, involved a manipulation and complete hack of the system in order to sell certain products by weight. 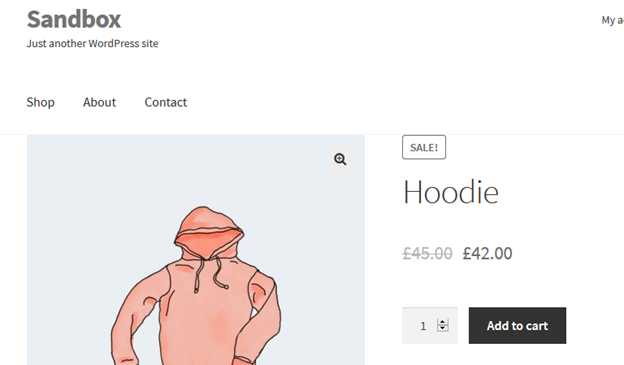 In this article, we’re going to show you a step by step tutorial on how we did it and how you can also sell your product on WooCommerce price per kg. Step 3: After entering the code, make sure you Update File to save the changes. After you have updated the file, move straight to your store to see if the prices of the products are now displayed according to their weight in ‘per kg’ just like it’s shown in the picture below. If all the products display its price in per kg, then congratulations! You can now sell your products by weight in your store. I believe with this knowledge, you can start selling some of your products per kg in your store instead of selling them according to their quantities. This is the simplest way you can easily add the weight amount to your products on WooCommerce. I hope you’ve found this post interesting and useful? Let me know if you have any question concerning this tutorial. If you’re rendering a service or selling integral goods, there are chances you don’t want your customers to use a particular payment method or any payment options at all on your checkout page. How do you go about this, so it doesn’t force the user to either use a specific method or any payment gateway? Don’t worry! We are here for you. We’re going to hold you by the hand and show you a super easy way to not only remove a certain payment method, but to also remove all payment options without breaking your site or pulling your hair off. First, let take a look at how to change a specific payment method on the checkout page. How to Change a Specific Payment Method on Checkout Page? In the above screenshot, you can see all the default payment gateways are all intact. The next step now is to remove a specific payment method. Let’s say we want to remove cheque payment. Yes, cheque payment will be fine. Let’s go with that. The first step is to login to the Back-end of your site. Click the settings link under WooCommerce menu. Then, head straight to the checkout tab where you’ll see all the payment methods and their settings. 4. To remove the check payment method, click on the cheque link. Here you’ll see the checkbox marked as checked. This checkbox will determine whether to enable/disable check payment option. 5. Now, Uncheck the cheque payment box and save changes. After that, go straight to the front end of your site, and refresh the checkout page. The cheque payment method will automatically disappear from your website. Here’s how your webpage will now look like. Awesome, right? With this simple method you can easily disable any payment gateway of your choice. With that out of the way, let’s look out how to disable all payment methods on your checkout page. How to Remove all Payment Methods? We’re going to be using a different method here. The way to go is to add just a single line code to the functions.php file within your theme folder. You can decide to use a plugin called code snippet. And Voila! 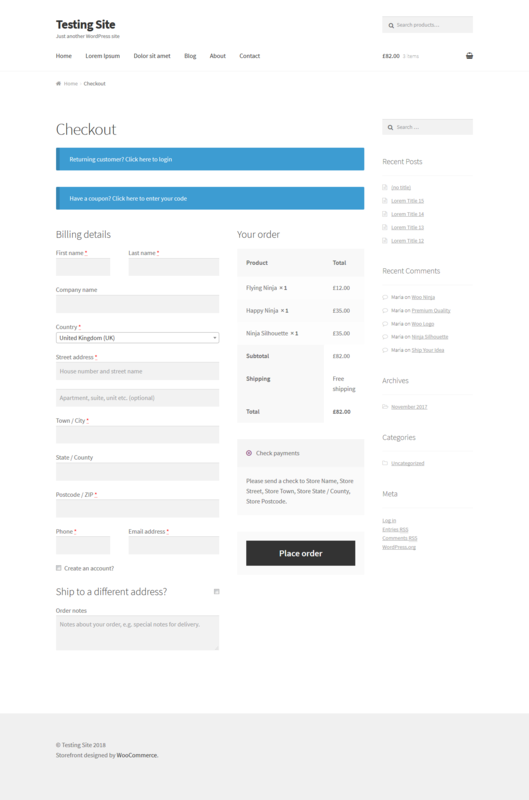 The checkout page will now display only a “Place Order” button. Pretty straightforward, right? Yeah, that’s how it is. I hope you have found this article very useful. Let me know if you want any further assistance. One of my customers had a product that has multiple variations such as sizes, types, colors, etc. 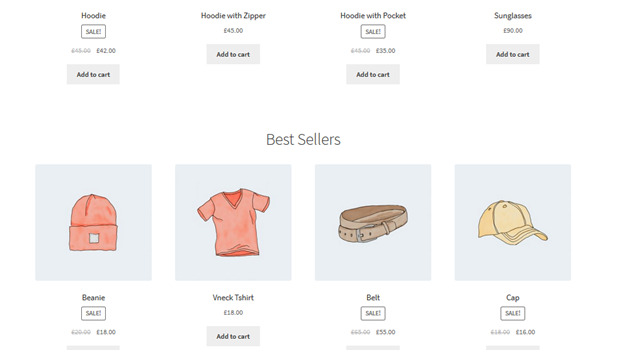 And by default in WooCommerce, variable product displays a range of price from lowest to highest. But my client wanted the system to show the lowest price among variations. Here’s a step by step guide on how we did it and how you can get any variable product to display the lowest price. First, you have to go ahead and create a variable product with attributes and different variations. After that, save the product. Now on the front end, you’ll see the price range for the variable product you’ve just created. The next thing you want to do is to display the minimum price among the variations. Please, ensure you save the file. And when you’ve done that, head back to the Front-end. You’ll see the lowest price already displayed. So, that’s it. As you can see, we have successfully hidden the variable product price range, which was displaying £10-£20. We now have a variable product that shows only the lowest price-£10. You can easily customize your WooCommerce variable product to display the lowest price by following the steps outlined above. I hope you’ve found this post useful? Let me know if you have any question concerning this tutorial. 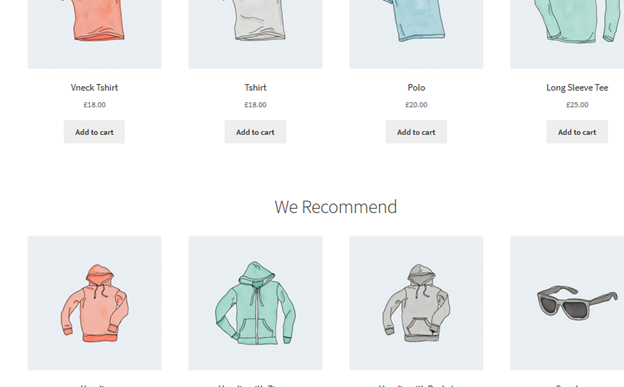 Today we are going to do a bit of customization in the WooCommerce. Before, moving to the solution I assume that you have installed WordPress and WooCommerce on that successfully. Now let’s move to the solution. When the problem came to me the first thought in my mind was to edit template files. That could be one approach but not a wise one for such a small customization. 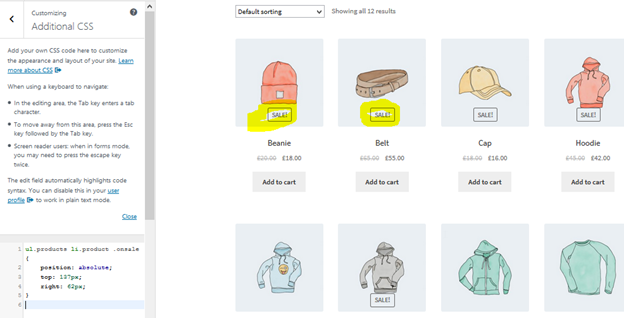 After doing some research, I’ve came to the conclusion that luckily WooCommerce allows multiple hooks, with the help of these hooks, we can remove prices and buttons. 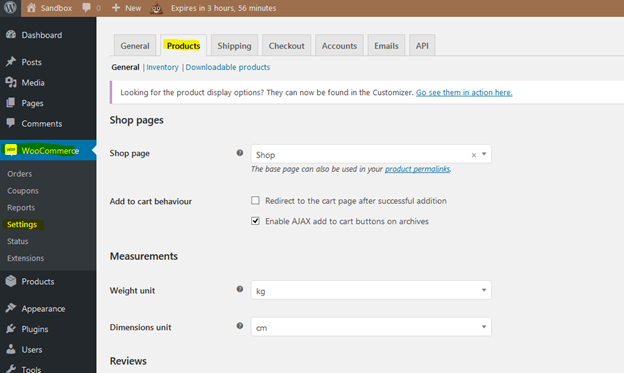 Now on the front end you can see add to cart button on product listing i.e. shop page and product detail page as shown in the figures below. Now we need to remove this button. 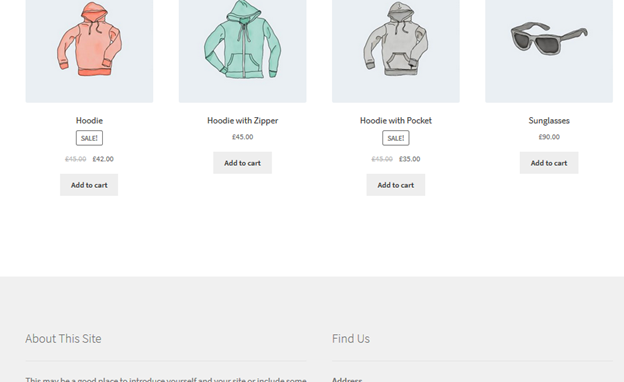 So, to remove add to cart button from product detail page and shop page i.e. product listing page all we need to do is to add these two hooks. We can place this code in any place where it should be appropriate. In some cases, we can add them to functions.php file but in some cases it may generate some error. So, I’m going to place these hooks in woocommerce.php file under the plugins folder. To access this file go to wordpress > wp-content > plugins > woocommerce and open the file woocommerce.php there and after line 904 place these two hooks. Save the file then refresh page. Add to cart buttons should have been removed from the site. 1- You could simply empty the price fields. The product will no longer have a price, nor an Add to cart button. 2- You could enable stock management, and set the product stock to zero. 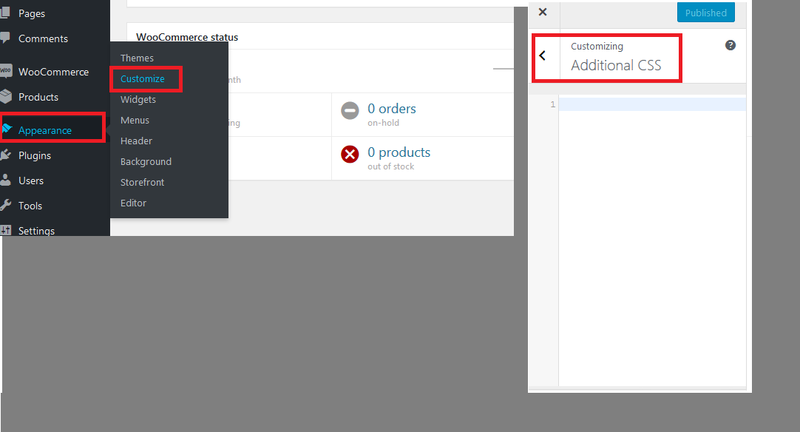 3- You could write a filter for the “woocommerce_is_purchasable” hook, and return false when the product ID is the target one. 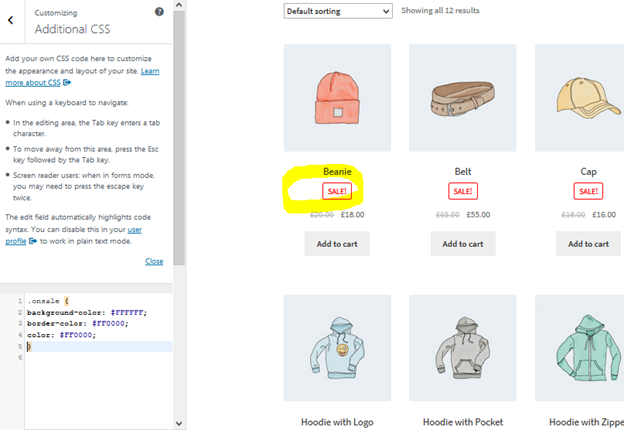 This would leave the price visible, and display a “product cannot be purchased” note instead of the Add to cart button. We will achieve the result by going with the Third option that is to add code to the functions.php file of the Child theme. Online store owners might need custom checkout fields for a variety of reasons. For instance, several retailers might want to provide an option for buyers to purchase an item as a gift for someone else. In this case, the same retailers might want to provide a variety of gift-wrapping and dedication options which would provide convenience for the gift buyer. There may also be other applications, such as for a pizza or virtually any other delivery service. A text area can be added where customers can make special requests and instructions or where users can provide directives for deliveries to be made at a specific time and place. All these and any other useful information under the sun can be communicated by the customers to online store owners using additional fields in the checkout page. 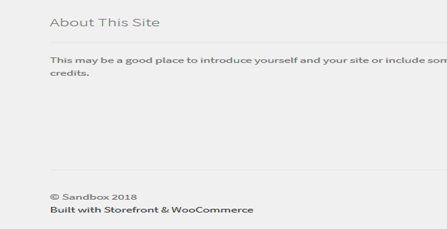 In this tutorial, you will learn how to add extra fields in the WooCommerce checkout page. We will explore and provide the code that you can use as a guide to effectively utilize custom fields to gain additional information from your customers during the checkout process. 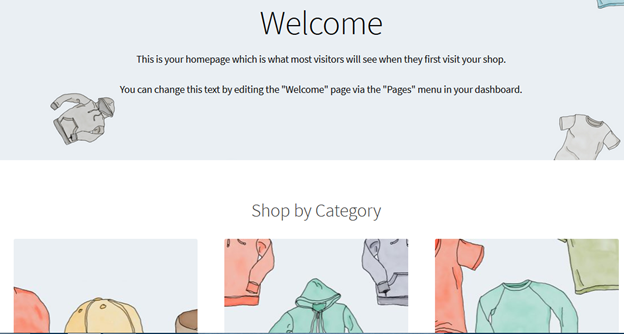 The easiest way to customize your WooCommerce checkout page. See all the existing used fields for the Checkout, Shipping, and Account sections, add new ones, edit them and re-arrange their order. This plugin is designed with those of you in mind, who want to request more information from your WooCommerce checkout page, give additional options to your customers and do not want to spend a fortune for a custom-coded solution. 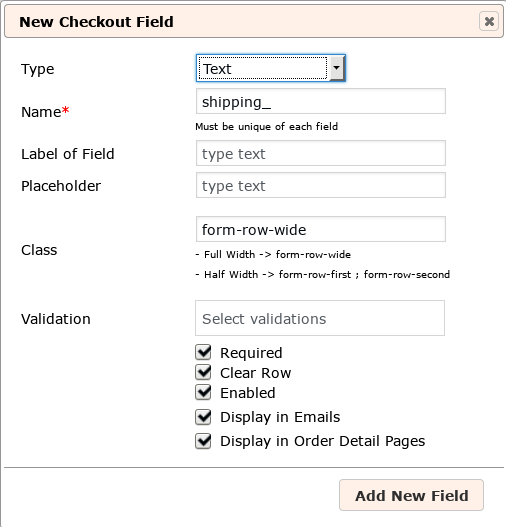 Create new fields on Checkout, Shipping, and Account sections. Create additional fields that display after Order Notes. Edit, remove or disable fields created with this plugin, or standard WooCommerce fields. Change the “required” status of any field. 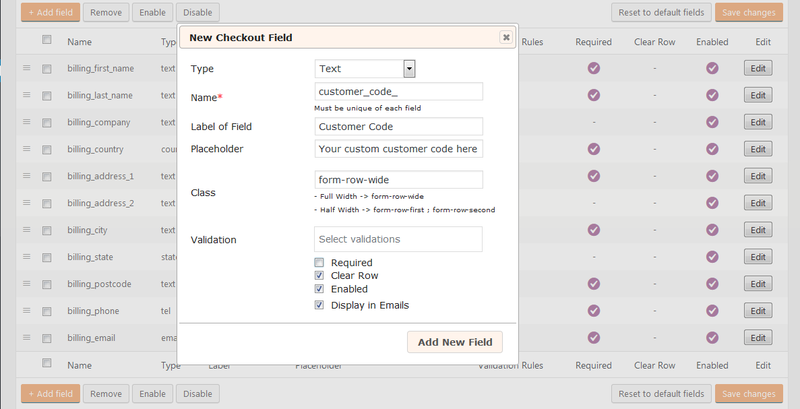 All fields, even the default WooCommerce ones, are editable with this plugin. Fields spanning across the full row or half a row. Add custom class to any new or existing field. Choose which fields are displayed in the order email notification. Choose which fields are displayed in the “Order Details” page. Labels and placeholders for fields. Select allowed filetypes for upload fields. Reset all custom fields and fallback to default. 1. Upload and activate the “Custom WooCommerce Checkout Fields Editor” zip file. 6. 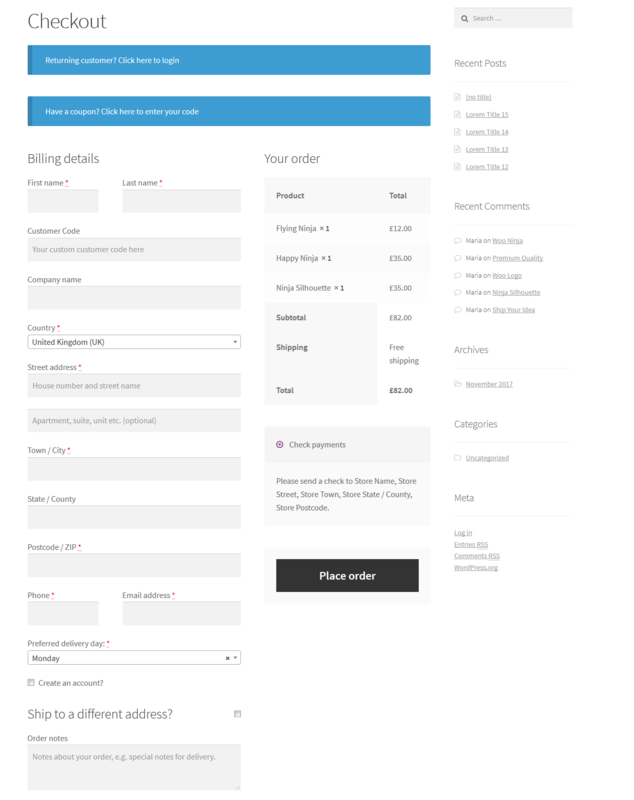 Your checkout page with custom fields is ready! Text: Text input field for any text strings (names, city name, etc). Password: Password input – input characters are masked. Hidden: Adds a hidden field. Textarea: A multiline text area input for longer messages. File Upload: Allows users to upload files. Select: Dropdown options. Requires to set the options with a pipe | separator. Multi-select: Dropdown multiple choice options. Requires to set the options with a pipe | separator. Checkbox: Select multiple options with a checkbox. Requires to set the options with a pipe | separator. Radio Button: Select single option by checking a radio button. Requires to set the options with a pipe | separator. Date picker: Datepicker to select a date. Heading: Add a custom heading to a section. The unique name of the field. The label of the field, displayed on the front-end. A short text shown on the field that disappears when the user begins to type. Usually contains a hint on the expected value of the field. form-row-first or form-row-second, if we want the field to occupy half of the columns width. Custom class: Add your custom class here for CSS styling. Required: Toggle this option if you want the field to be mandatory to complete, before the user submits the form. Clear Row: The row clears after the field is displayed and the next field starts on a new row. Enabled: Toggle this to make the field visible on the front-end. Display in Emails: Toggle this to send the field value with the order email. 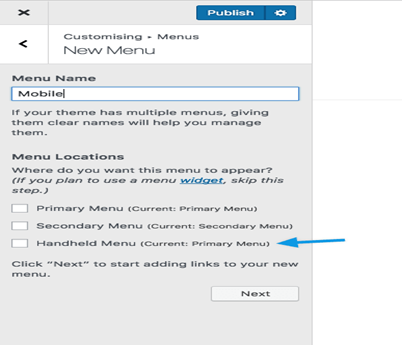 Display in Order Detail Pages: Toggle this to make the field visible in the order detail page. To start integrating custom fields, we should make the necessary modifications on the theme functions.php file. The easiest way to do this is by navigating to Appearance > Editor, then looking for Theme Functions (functions.php) on the right-hand side. 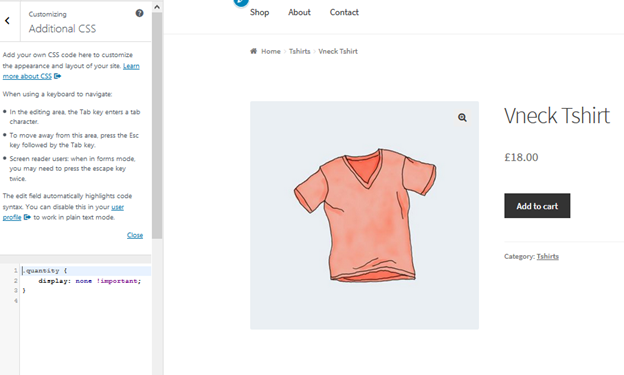 The code above adds a function which generates the code for the additional form field and adds a corresponding action which will call the function after the WooCommerce order notes section. It is worth noting that the code above does not merely include an input element but also a heading element which can serve as a good placeholder for the your new section of custom fields. As you can see in the screenshot below, adding this code would generate a custom-made form field similar to the rest of your checkout form. The newly-added code generated by the function appears right as expected, after the order notes field. While the current setup looks okay, it is important that the additional fields work properly just like the rest of the checkout form. For this to happen, further adjustments should be made to the functions.php file. For instance, the following code below would ensure that the customer would input a valid value for the additional custom fields that we have added. This is to prevent the user from skipping required custom fields which may contain essential information for the order to be processed properly. Now that the needed code for the proper validation of input is in place, the last step in adding a custom field to the checkout page is to ensure that the additional information that the users input are promptly and securely saved in the WordPress database. This entire procedure would be useless without your ability to retrieve the data your customers have entered into the custom fields you have added, so this piece of the code is very crucial. Don’t forget it! With this code, the customer’s additional information will be now saved once an order is placed. We get it – code can sometimes be really confusing, especially without an exhaustive background of HTML and PHP! 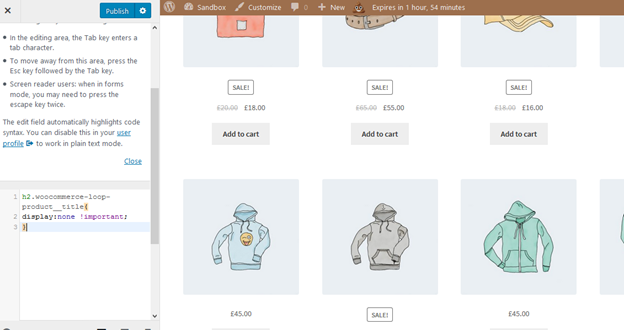 So, we created an Add Custom Fields plugin which would allow you to easily add custom fields to the Checkout and My Account page in your WooCommerce store. By using our plugin, you can edit registration form fields without touching a single line of code! Click here to learn more. By default, the WooCommerce registration form only includes and requires an e-mail address and a password to keep the registration page fast and simple for the user’s convenience. However, many times e-commerce site owners would want to gather more information about their new users to effectively target and optimize their online marketing effort. Providing a custom registration experience is a lucrative option which would help in maximizing company data about customers who are already interested in their products. This is why many users would ask, “How do I add custom fields in the user registration form on the My Account page?” For many beginners, to add extra fields to the registration page would be quite a daunting task, given that it would require working with some PHP code. But we’ve got you covered. In this tutorial, we will learn how to add custom registration fields through PHP code and through a custom registration plugin. To get started, go to WooCommerce > Settings. Under the Accounts tab, look for the Enable Registration setting in the Account Pages section. 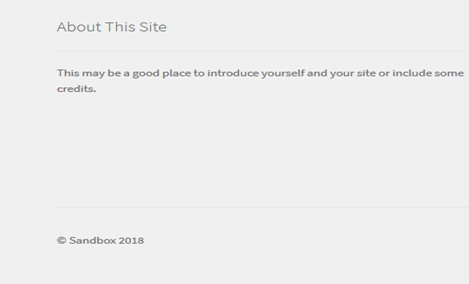 Ensure that the WooCommerce membership registration form is not enabled on the Checkout page, but also on the My Account page by enabling the appropriate checkbox. After enabling this option, you should see the registration form in the frontend. As you can see it is a pretty modest form, but We can add more fields to this form by using the following WordPress/WooCommerce actions. 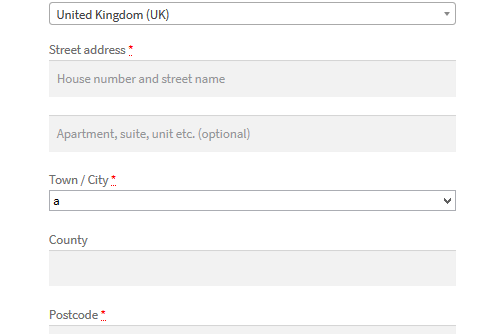 Now, to add custom fields to the WooCommerce registration form, such as first name, last name, and phone number, add the following lines of code at the end of your theme’s functions.php file. 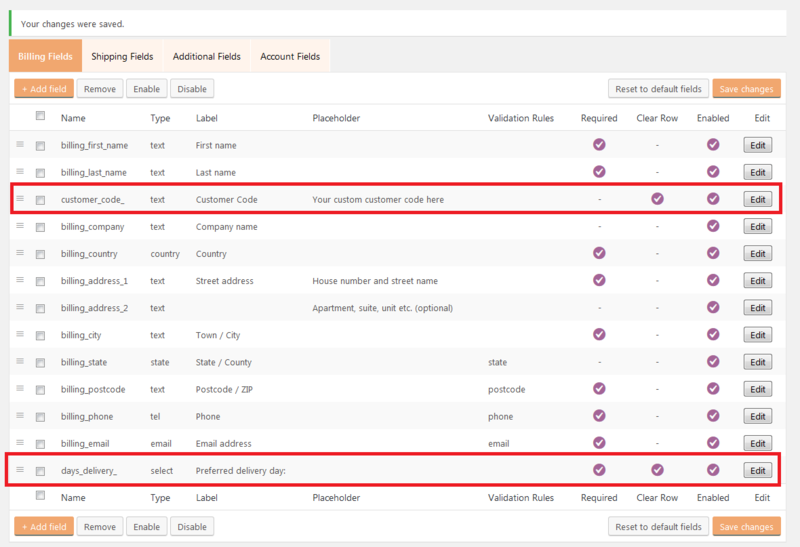 The example code above defines a function containing three new required form fields (first name, last name, and phone number) and assigns the values entered by the user to the built-in WooCommerce customer attributes, which has provisions for billing information such as the aforementioned. The functions.php the file can easily be accessed by visiting Appearance -> Editor and navigating to the Theme Functions (functions.php) link in the right-hand side. After updating the field, the new fields would be added to the registration form. This would be visible once you refresh My Account. If you would look closely at the code snippet provided above, the name attribute of the form fields always begins with billing_. What this does is that it associates the registration form fields with the billing address WooCommerce stores for the user. This means that by using the billing_ prefix, once the user registers and enters the information we ask, the user will no longer have to retype the same information again in the future. This is a useful feature because users would definitely be annoyed if they have to re-enter the same information they’ve registered with in the checkout process, for example. * @param string $username         Current username. * @param string $email             Current email. * @param object $validation_errorsWP_Error object. The function in the code snippet above simply compares the text entered by the user with the $_POST array, which would ensure that the form values are valid, displaying an error if it isn’t or if it no data is entered at all. To finish things up, we need to save the values gathered from the Woo user registration custom fields to the MySQL database of our WordPress installation. Once this is is done, the newly added fields are already made visible in the frontend registration page, checked for validity, and saved in the database for future use. You can visit the My Account page and look for the Billing Address section to verify that the values from the registration form are already being populated. Anybody remembers the days when WordPress was meant for blogging? When it’s main function was to login, post your next article or blog post, publish it and then read and reply the readers’ comments? WordPress, thanks to being open source and having gathered a huge and amazing community, has progressed far more than that. It is now a full-fledged CMS, with plugins that allow for media management, e-commerce, and even forum functions and multi-user communities. WordPress can even be your CMS of choice for your membership site, thanks to a plethora of plugins, both free and commercial, that can help you build your new user website. We have tested 8 free WordPress membership plugins and ranked them according to an array of criteria. Also, we read a big number of reviews of a number of paid plugins and we present our thoughts on them. EoU: Ease of use (ease of configuration, intuitive interface, documentation, shortcodes, theme integration). Max score: 3. Fea: Features (membership and groups hierarchy, payment forms integration). Max score: 4. Func: (Popularity, user reviews, compatibility with WordPress 4.7+). Max score: 3. Users Ultra Lite offered to create automatically for me the sample pages to get started, while offering the shortcodes and the option to choose the page slug. It plays nicely with the twenty- themes that I tried, as well as with a few free themes with more complex visuals. The documentation is pretty exhaustive, and their user forums seem active. It offers plenty of features, and all of them customizable. There is Mailchimp and Woocommerce integration, protected content for different membership plans, users media galleries and many more features. On the flip side, it only uses PayPal integration and, at least in the free version, there is not an intuitive way to use social login. I have to say that, upon activating this plugin, I got put-off by the fact it automatically installed 7 top level pages in my WP site. I understand it is done with ease of use in mind, however I would have appreciated been given a choice – something other plugins reviewed here pulled off. The plugin offers many features to build a community – your members can build profiles, media directories, view content on a per-membership basis. However, paid subscriptions is not the main focus of this plugin and, as such, paid options are not integrated at all. While membership brings to mind forums and users community, the focus of membership plugins has clearly steared towards the paid subscription side. And Ultimate Member clearly lacks on this field. The “Paid Member Subscriptions” plugin doesn’t get enough love. Of the 5000+ active installs in 15+ languages, it only has about 30 reviews. It might be due the unfortunate choice of a name, very similar to another very popular free membership plugins (also reviewed in this article). This plugin has a robust interface, with all the important information concentrated in one page. 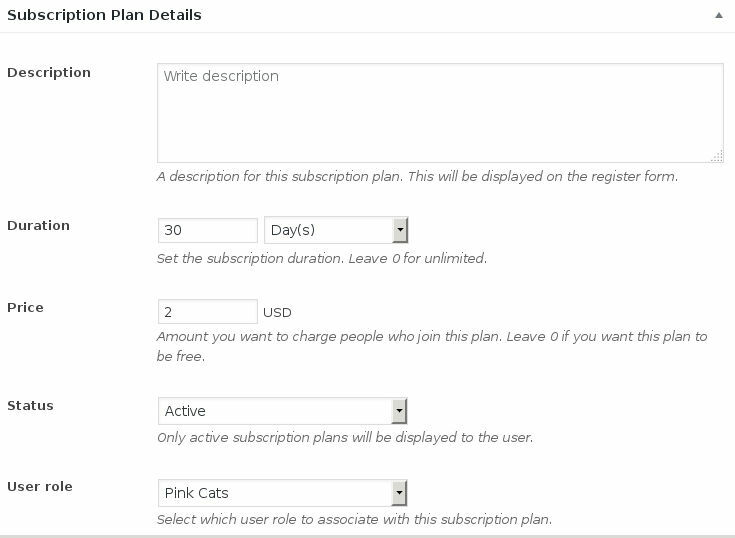 After you create membership plans, you can charge your users (only through PayPal), restrict content, create new user roles based on the membership name. One thing that this plugin does not, is create the necessary pages for login/register. The user has to manually create the pages and insert the shortcodes that give them the necessary functionality. Another plugin that doesn’t get enough love. With over 20000 active installs, it only sports a bit over 100 reviews in the WP plugin directory and it is barely ever mentioned in comparisons between membership plugins. With this free plugin you get unlimited number of membership levels, content restriction by post/page and by category. It also offers payment through PayPal and Stripe. Everything is configurable, most of the options you would expect it to have are there and it plays nicely with the tested themes. The free version of the WP-Members plugin allows you to request your users to subscribe so that they can see your full content. Everyone else can only see excerpts of your posts (and your pages, if you so choose). The idea is simple and works! While not as versatile as other membership plugins examined here, it certainly does let you build a site with premium content. This plugin does not offer different membership levels, or the option to only hide some posts from non-subscribed users. It also does not allow you to charge for access to your site – you need the Premium version of the plugin to do this. And if you wonder how is it like to deploy the Premium version of this plugin on a large content site, all you have to do is to check the very extensive documentation of WP-Members. 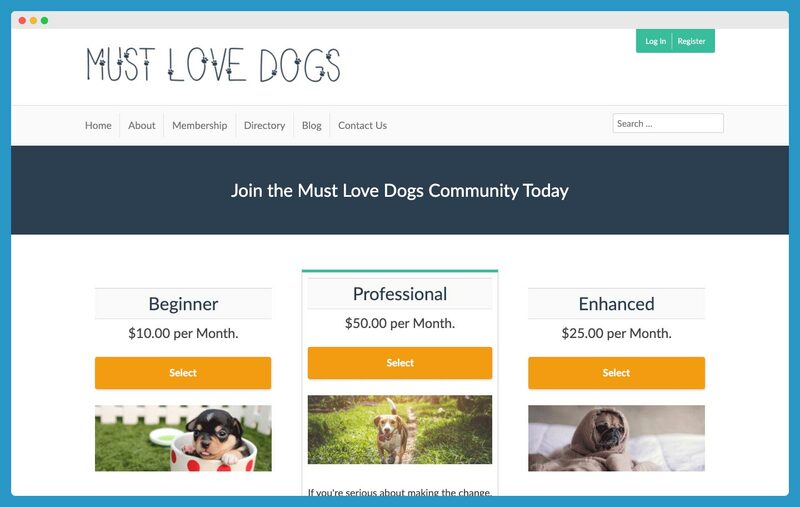 By subscribing to their site as a member, you get access to plenty of extensions that will add almost every possible functionality to WP-Members. 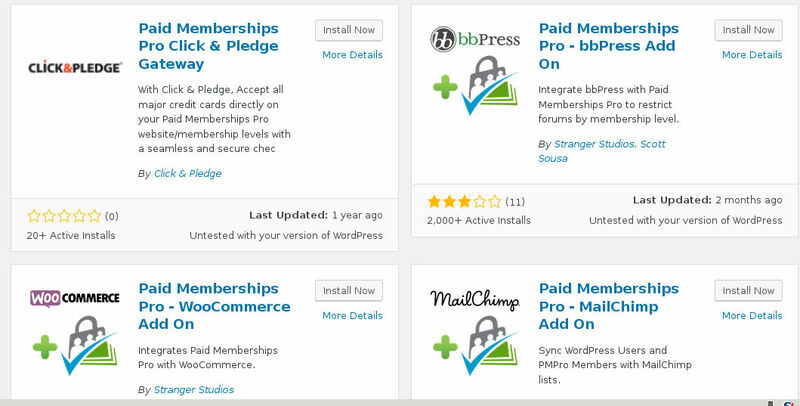 The first thing to jump out when I searched for the Paid Memberships Pro, was the amount of extra addons for integration with systems such as bbPress, Woocommerce, Mailchimp, etc. You can see the full list, after installing Paid Memberships Pro, in the “Add Ons” tab. The amount of things that this plugin can do with the extra add-ons is almost overwhelming; every possible feature you’d imagined you want from a membership plugin is there, and several things you never imagined. Including content delay; this is a feature also known as content dripping and, apparently, it is very sought upon in membership sites. Many of the extra add-ons – such as the content delay – are paid, however the amount of features offered in the free version is still on the overwhelming side. Membership levels, payment by PayPal, Stripe and even by check, discount codes, as well as the free extra add-ons to integrate your WordPress site with Mailchimp, bbPress forums, as well as KISSmetrics to track user activity; it is, without a doubt, a very feature-rich plugin. The s2Member plugin redirected me to an overview/help page immediately upon activation. This is positive, implying that the developers have a well thought-out documentation, nevertheless it is a bit off-putting for a non-technical user, because it says that it might have a learning curve. Does it, though? The features are comprehensive, with detailed options and plenty of different restriction options, content download options (including even content hosted on a CDN), notifications, and more. Out of the box Mailchimp and bbPress integration, as well as PayPal payment are certainly on the plus side. However, it’s interface is not as intuitive as other plugins reviewed here and it might be intimidating for a non technical user. Also, I was slightly disappointed that only 5 membership types were supported; it is highly unlikely that any kind of setup will need more than 5 membership levels, however most other plugins offer unlimited levels and I’ve come to expect this as a feature. Maybe the most interesting feature that s2Member Framework offers is a very exhaustive list of options for content restriction. It really allows you to control every part of your web and only give access to the users you want, with category and tag restriction options, sell individual posts with a “Buy now” options and even only restrict part of the post or page content. Groups is a robust, feature-rich plugin that, together with the recommended extensions, free and pro, it can cover most needs of a membership site owner. The first thing you want to do upon installing this plugin, is to check out the capabilities offered. There are many capabilities, aptly named, and extensive, allowing you to offer any combination of access rights to your users. Supporting an unlimited number of groups, you will really find there is no limit to how many group/capabilities combinations you can have, to define different membership levels. Integration with PayPal, Woocommerce and Gravity forms with their free extensions, as well as a custom newsletter and forum capability, and , additionally, access control with shortcodes, there is a reason that over 20000 users use this plugin. Thank you for reading our review; please note that the above mentioned ranking are based on personal opinion, after individually testing the above free WP plugins. MemberPress is one of the most popular premium plugins for membership sites. It is also one of the most acclaimed plugins, considered as the number one of its niche by many reviewers. While it does not offer a demo, the MemberPress offers enough screenshots and information to get a good idea about it. I would say it is clear that it is packed with features, comprehensive, and intuitive enough to be easy to set-up. 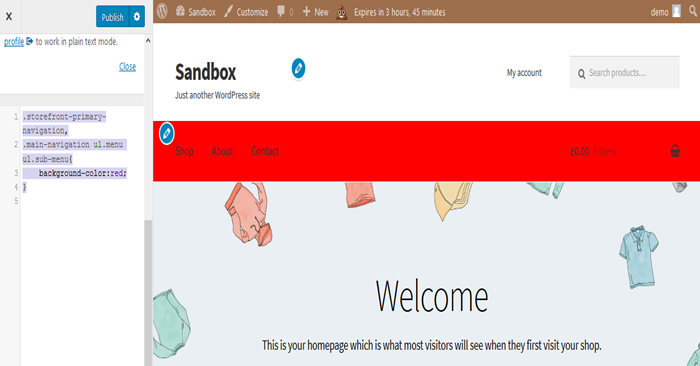 Theme-neutral, easy to integrate with any forum software, plays nicely with WooCommerce, works with 12 different email marketing systems, content delay features, payments through PayPal, Stripe, Authorize.Net. Also, a praising review from Chris Lema and other blogs and sites focusing on WordPress; I can certainly see why MemberPress is considered the number one plugin for membership sites. This plugin is brought to you by the same guys who created BackupBuddy and it is an additional plugin you buy on the top of their e-commerce system, Exchange. Having, again, no access to the back-end, I can simply say that, based on the features they offer and the back-end screenshots, it seems amazing. The fact that it is integrated on an e-commerce system gives a multitude of possibilities for your membership site. You want to sell a physical product only to your gold members? Want to have your e-shop for everybody and only offer discounts/special prices to your subscribers? It looks perfectly possible with this setup. The Membership Add-on for iThemes Exchange gets overall very good reviews and the company behind it is reputed for their quality customer service. This plugin is probably one of the best out there. Before I start looking the features of a plugin, I do a quick search to find the online documentation and whether there is a demo or not. The Restrict Content Pro had both. You can see what the registration form looks like and browse through their amazingly detailed documentation. Is Restrict Content Pro a good solution for your particular setup? Find out in the Use-case pages. Wonder how intuitive is the interface? Loads of screenshots for you to get an idea. Restrict Content Pro offers a robust membership management, with out of the box integration with MailChimp, PayPal and Stripe, as well as members dashboard, discount codes system, and more. 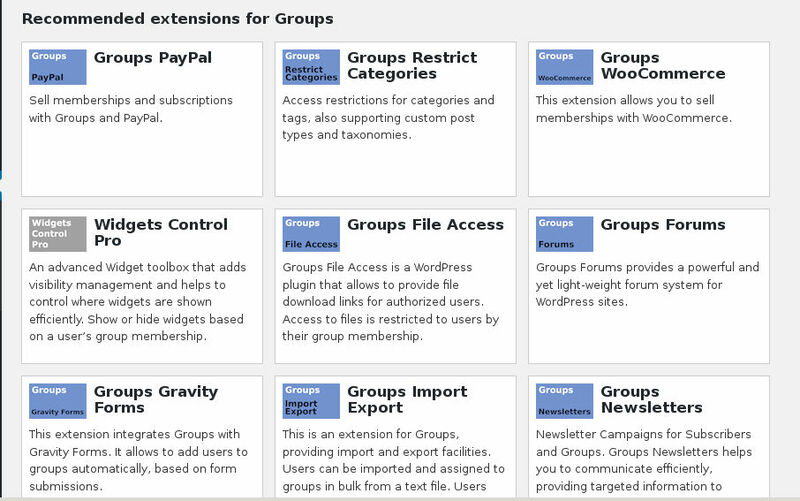 It is also extensible; with the extra addons you can add content delay support, group accounts and more. Code Canyon’s WP Membership is one of the most affordable membership plugin options, at $34. 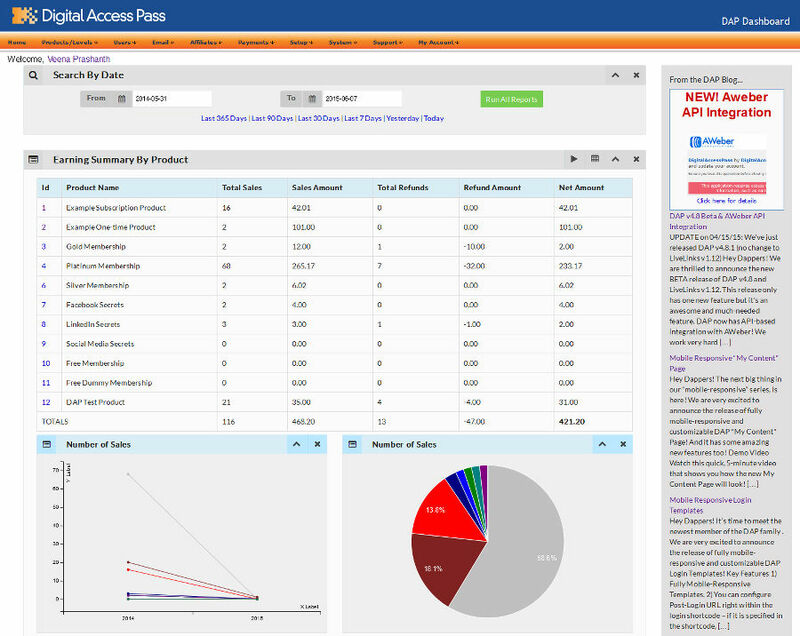 It offers a demo of the logged-in user dashboard. First thing to notice upon logging in, is that the demo uses an older WP version (version 4.5.3). The information page claims that it is compatible with WP 4.6.x and 4.7.x, however the last update was on May 2016. This plugin offers PayPal and Stripe payment, MailChimp integration, several predefined membership types and pricing tables and a coupon system. It is an affordable solution for a simple subscription site. Did you read our Free Membership plugins article? If so, you might remember me being very impressed with the free version of the “Paid Memberships Pro” plugin and giving it a score of 9/10. My main point about the free version was how you get loads of features and extra add-ons that can cover most needs. Here is what you additionally get if you buy the PMPro Plus version. To name only a few, you get content dripping, social login, WP Affiliate Platform integration and so many more! The eMember plugin has been around for a long time. It is mature, solid and powers plenty of subscription sites. It includes many options, such as unlimited membership levels, content access levels, MailChimp and WooCommerce integration and use of the Google First Click Free feature. Actively developed, compatible with the 4.7 WP version, with extensive documentation, user dashboard demos and having almost all the main features you would expect from a membership plugin, it is certainly a worthwhile solution. DAP has also been around for a long time. Over 8 years of active development, it is a plugin made specifically for WordPress, but that also works for plain PHP/HTML web sites. The documentation brings you to an outdated-looking site with frames, however the documentation itself is up-to-date and comprehensive. Still, the content might feel a bit too technical to the average WP site owner of 2017. DAP claims that they invented content dripping – and all the reviews I’ve found on DAP agree on one thing: It does content dripping right. The “Tru-Drip” feature is meant to allow you to manage the content delay in any way you want; you also can delay all types of contents, by posts, categories, even media files. It also offers plenty of options for upsells, unlimited membership levels, teaser content and much more. MemberMouse is a plugin following the SaaS (Software as a Service) model, so it comes with a monthly subscription and different packages according to the number of members you want to manage. It has more than enough features to justify the high pricing, such as unlimited membership levels, content protection, content delay, support for affiliate programs, upsells, coupon systems and much more. It supports PayPal, Stripe, Authorize.Net payment, integration with MailChimp and other mailing list providers and their API seems to be quite versatile. They have import wizards for easy migration from a number of other membership plugins as well; this can mean that many people migrate to MemberMouse. Overall, MemberMouse is feature-packed, but comes with a higher price tag than other plugins with similar features. Another “oldie” of the available membership plugins, Magic Members has been around for 7 years and is still actively developed. I checked our their online demo; and you should, too, if you are considering using it! Unlike the demos offered by some other plugins on this list, this gets you directly to the admin’s control panel, not just a user’s dashboard. Regarding features, it has everything you’ve come to expect from a membership plugin. Unlimited membership levels, content protection and delay, pay per post or pay per view features, integration with MailChimp and other autoresponders, integration with forum, such as SimpleForums and WP Mingle and a long list of supported payment gateways, including PayPal, Stripe, Authorize.Net, and several more. The pro version of the guys who developed the free s2Member Framework, reviewed in the first part of this article. One of the things I pointed out reviewing the free version was the limited membership levels. Well the Pro version comes to remedy that, offering unlimited paid membership levels. It also offers PayPal, Stripe and Authorize.Net integration, content dripping with the use of shortcodes, coupons and gift/redemption codes and more. It still stays incompatible with WooCommerce and, as I said in the free Framework review, it might be intimidating to set up and configure for the non-technical user. Another affordable option from the codecanyon guys, PrivateContent is here to let you create membership levels and assign them access to your content. That’s all. That’s all it does, and it seems to be doing it really well. There is something I personally like very much about doing one thing and doing it well. PrivateContent seems to be doing this, and it is extensible, while still affordable, for those who want more features. You want to charge for your content? WooCommerce integration? Mailing lists with MailChimp? You can buy extra add-ons to add this functionality. My impression of the free version of Ultimate was not great. I was not happy that it created pages to use for registration, logging in, etc, without giving me a choice to opt-out and create my own pages instead. I was not happy with the warning I got that the automatically created pages cannot be deleted. I was also not impressed with the set of features offered. However, the paid version – which is not really a version but an extension bundle with 18 additional addons adds several features that can be useful for a community building. MailChimp, bbPress and WooCommerce compatibility, social login, friends and followers functionality and more. The focus is still on the community building, rather than the membership/subscription function. However, if that is what you need, and you need to base your community on WordPress, Ultimate Member might be what you need.